MBC promised it would punish whoever was responsible for using Sewol Ferry news clips on 'Point of Omniscient Interference'. During variety show episode on May 5, the show used clips from the Sewol Ferry news report to comically talk about Lee Young Ja eating fish cakes. 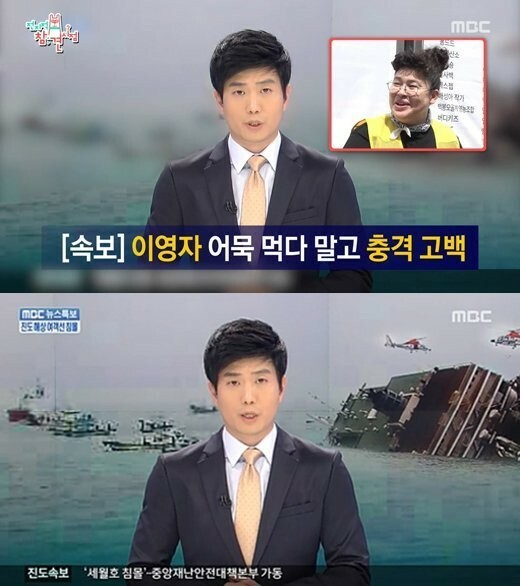 The show used two clips from the breaking news clip when Sewol Ferry first sunk, including one with the Sewol Ferry in the background with a male news anchor. 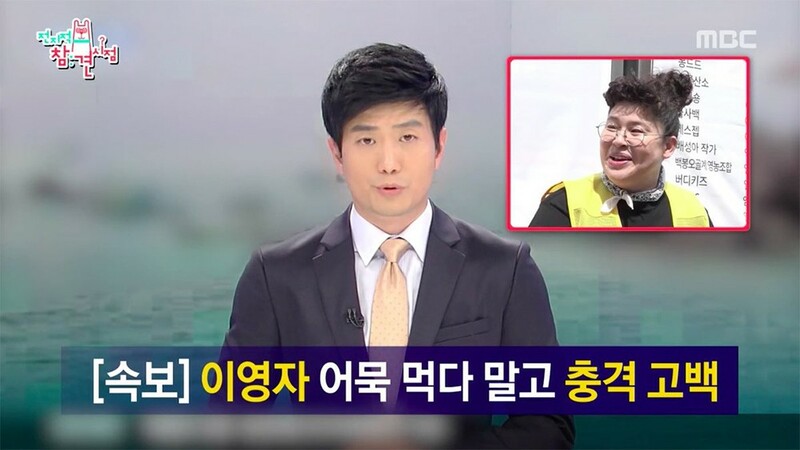 The scene with the male news anchor had the Sewol Ferry blurred in the back, and netizens guessed that the staff had indeed known that it was the Sewol Ferry clip, but used it for comical purposes anyway. After the situation became widely known and viewers became furious, MBC issued an official statement reading, "We apologize sincerely to the family of the Sewol Ferry victims, and our viewers. The news clip that we used was given to us blurred by the video editor. While we were making final edits, we did not realize what the clip was, and we used the clip and concerned viewers. We are sincerely apologetic and want to say sorry. When we realized what the video was, all of the clips were deleted including those on VOD services. We will be strictly investigating how that news clip was selected and blurred, and we will be taking responsibility. We will, in the future, be more strict in checking footage. We apologize once again to those who were hurt." You can see the clips before and after they were edited below.